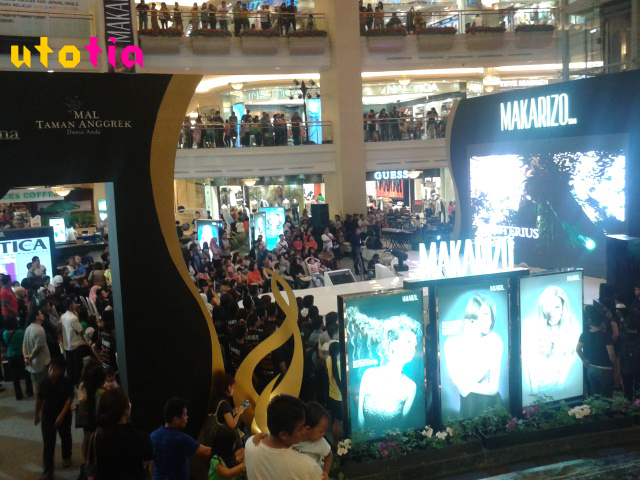 Hello beauties, last month Makarizo held a very big event named Makarizo Hair Fashion Festival 2013 at Mall Taman Anggrek, Jakarta. The event was started from March 18-24, 2013. And on the Friday, March 22, they arranged a talkshow with theme "The Uniquely Chocolate Sensation" along with other beauty bloggers. 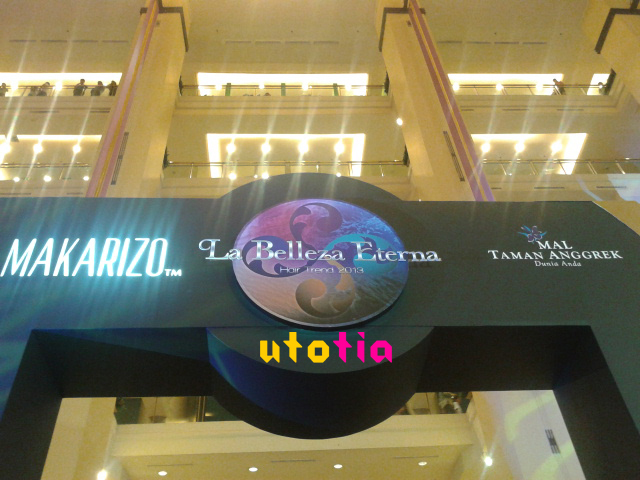 The theme of this year's hair fashion festival is La Belleza Eterna, which is inspired from the beauty of nature. Thus, the name of each hair color trends are derived from the name of natural elements such as: Rock Mountain, Under the Sea, Desert Winds, and Wild Wood. 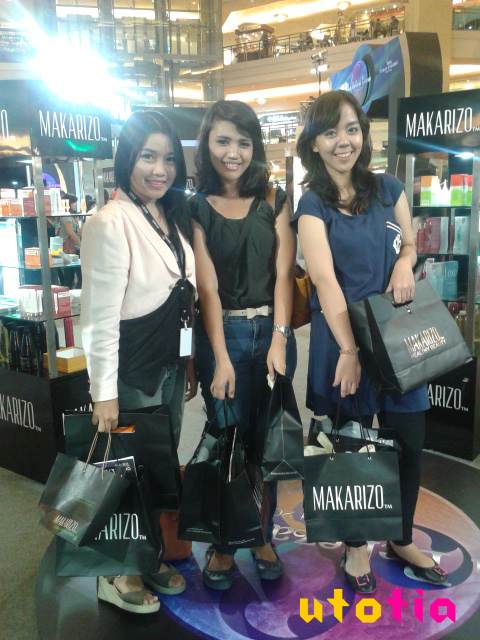 Okay, so Makarizo was very kind to provide our lovely beauty bloggers vouchers to be redeemed during the event. Those two voucher worth Rp 200.000 in total can be used to get any Makarizo consumer and professional products. So kind, yeah? Of course! 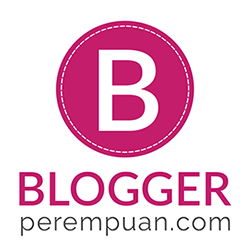 But first, let's talk about the talkshow. So, the talkshow is named "The Uniquely Chocolate Sensation." Why? 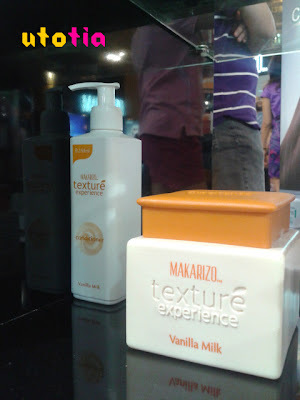 Because Makarizo has its own chocolate product line; Texture Experience Black Chocolate shampoo, conditioner, and hair mask! Sounds yummy, eh? Not to forget the presence of a very lovely little lady; Ariel Tatum. She's an actress turned singer. Very cute one. Though the talkshow ended, at that time I stay still because I was soooo confused choosing the products to be redeemed! Yes, because there were a LOT of products there. 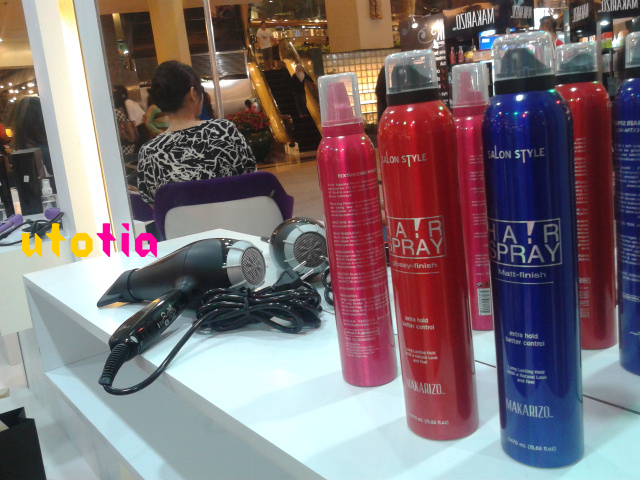 Below are the products which attracted my attention the most during the event. 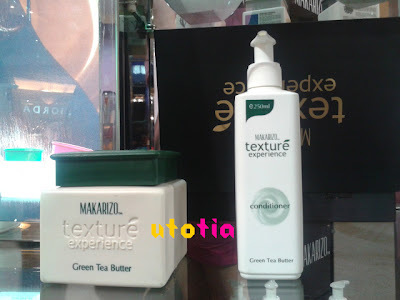 Texture experience products offer you the luxurious sensation from every "Real Extract" which acts as therapy to release your negative mood. 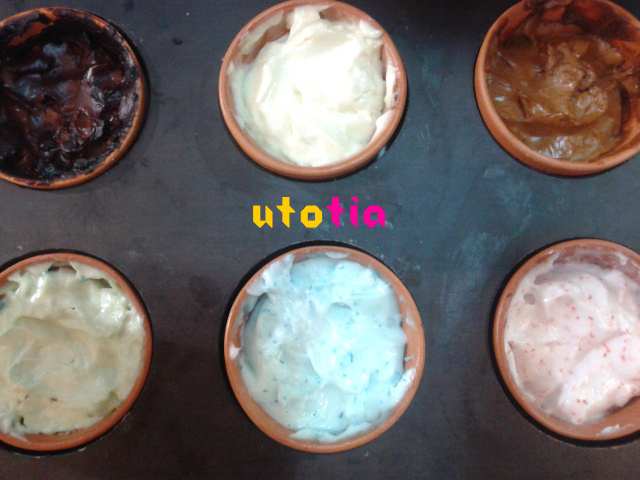 It consists of two products; Hair Massage Cream (Black Chocolate, Vanilla Milk, Cinnamon Coffee, Strawberry Yogurt, Green Tea Butter, and Mint Sorbet) and Body Scrub (Seaweed, Black Rice, and Deep Sea Mineral). 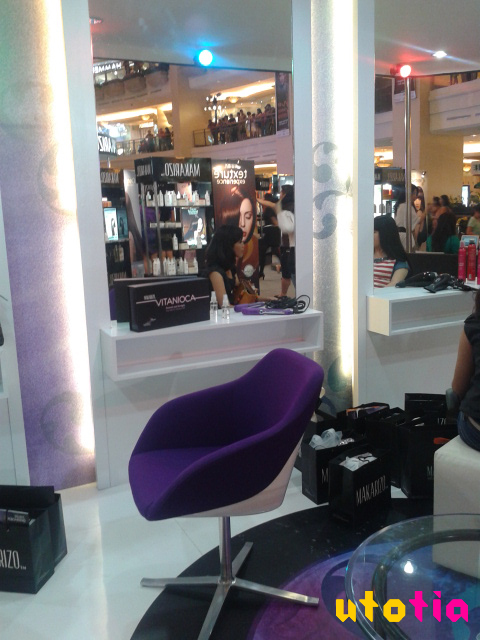 Nah, as for body scrub, the PR officer told me that mostly people love the scent of Seaweed one. But, turned out that day, Black Rice variant was sold out!!! Wow. I don't really understand, but I guess it's because it has cleansing and moisturizing function at the same time. I also got these black chocolate shampoo and conditioner from the talkshow. Well, they say the scent will last for up until 3 days after the washing. Even when the caps and seal still on, the scent lingers around! I am hungreeeh! 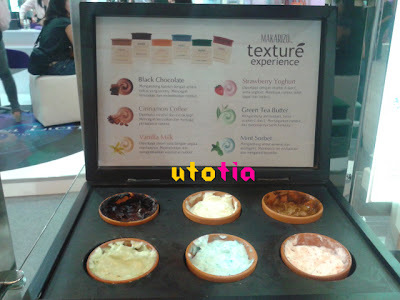 I love that there's green tea variant from Texture Experience. I've always been a big fan of green tea. I ended up buying the shampoo anyway. I don't really dig Vanilla, but the bright yellow color tempts me..
And as for body scrub, I ended up taking the Deep Sea Mineral Body Scrub. Inspired by the fast-changing environment, Makarizo presents this MK3 Ecology products to accommodatemany hair problem including dullness, split ends, roughness, dryness, and hair loss. 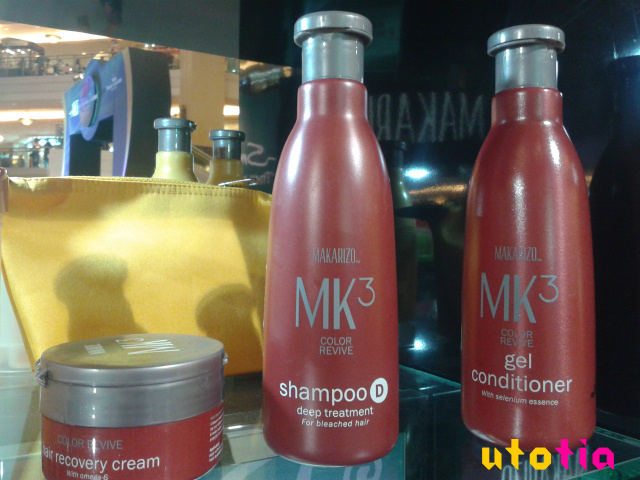 I am very interested in these products, especially MK3 Color Revive Series, since my hair is soooo dull. I want shiny hair! But the problem is, it's expensive. They say the price justifies quality, though. 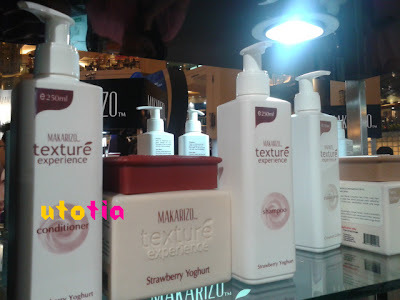 Not to forget that I also got Vorsatz (from the pic above) hair loss shampoo, hair masks, etc. 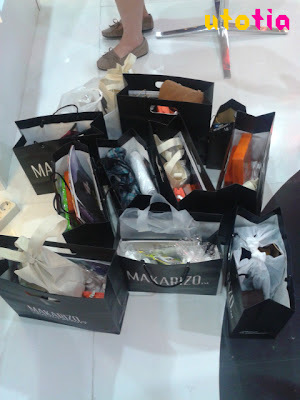 Well, spending Rp 200.000 (equals to around $22) was really hard, LOL. 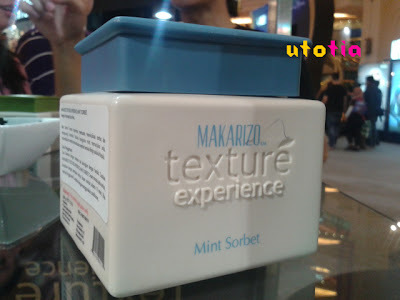 After done with the whole 'shopping' I just sat down at Makarizo mini station, a very cozy place with purple decoration while watching for the hair show from a far. And here are my partners in crime that day, Via and Beatrix!! And look at our goodie bags combined together, it's crazy!!! 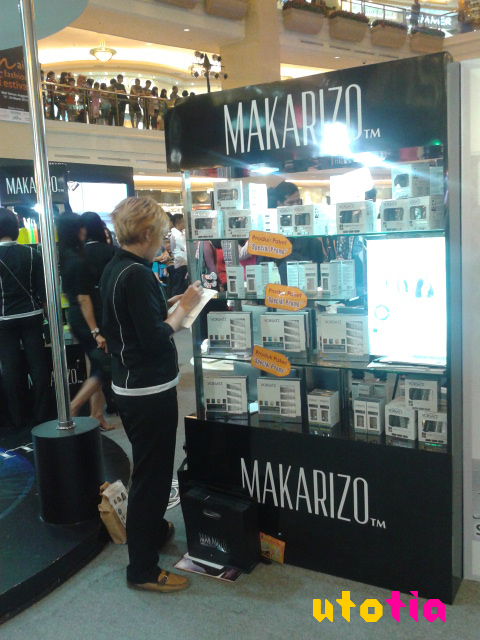 THANK YOU MAKARIZO FOR A VERY NICE EVENT! !